Finance Man understands that living in South Africa can be a joy and a burden on your wallet at times. Most people can attest to the bitter sweet financial reality that all South Africans face on a daily basis. Feeling drained and desperate all at once is a very normal experience due to the demanding and fast paced lives that are lived by most South Africans. Finance Man is here to alleviate some if not most of the stress that most of us feel due to the overwhelming financial strain we may found ourselves in from time to time or even on a daily occasion. 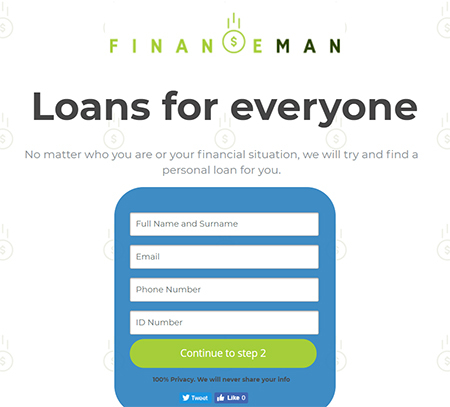 Finance Man is a financial service provider that provides personal finance help for South Africans. 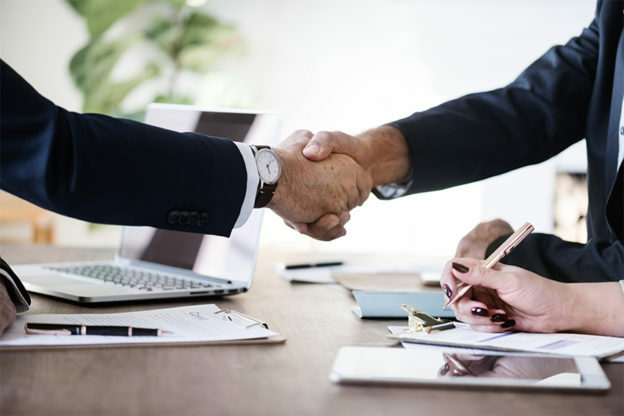 The company’s goal is to deliver ease and clear guidance in the financial decision making process of all of their clients. The company was built with the intention to solve the financial burden that most South Africans face by introducing financial products that were sure to eradicate stress, worry and a sense of loss or hopelessness from their clients. Their solutions are here to assist anyone with financial difficulty in the long run. The benefits of taking out a personal loan with Finance Man are many. You can rest assured that a personal loan for you will be found according to your own unique financial situation. The process is completely digital and very quick as well as the turnaround time. The loans are unsecured making them a great choice if you do not have collateral. No matter where you are in South Africa; you can apply for a loan and get competitive interest rates. Get a loan of up to R150 000. Your information is confidential and will not be available to anyone but you and Finance Man. The consolidation loan has a number of benefits as well. Under this loan all your debt will be consolidated under one roof and all you’ll need to pay at the end of every month is one account. The amount will be lower than all the amounts combined together that you were originally paying. Just remember that you need to pay the agreed upon amount timeously every month to ensure that you build up a good credit score. Say goodbye to those annoying and never ending calls from creditors and have the peace of mind to build a great financial life. Living in the 21st century means that you need to have your possessions insured if you want to keep them secure. The many insurance products that you can choose from are designed to eradicate worry by ensuring that your belongings are well taken care of. Be employed, earning R1 500 or above. The time for endless worry and stress can be terminated with a click of a button. All you need to do is make the decision to reset your financial situation and Finance Man will help you every step of the way. This entry was posted in Loans for bad credit on July 21, 2018 by Jane Walter.